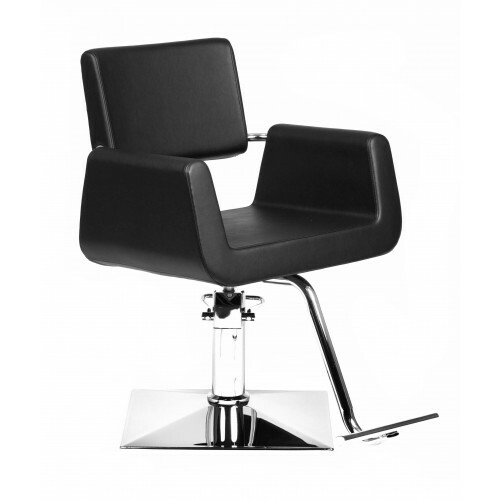 The AYC ARON Styling Chair has a modern design with square shaped Black cushioned seat. European-style T- shaped footrest with chrome legs and a durable square hydraulic chrome base. 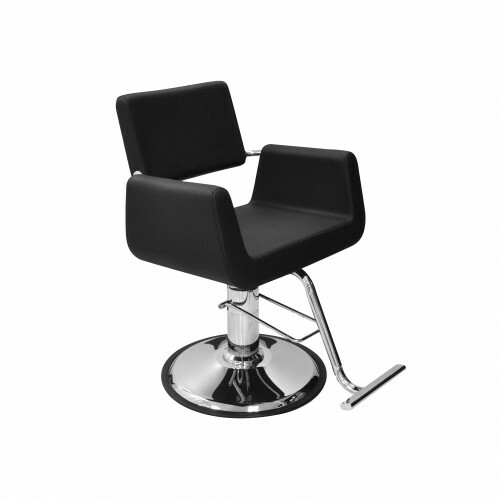 Also available with a round base. Dimensions: Arm-to-Arm: 23.5”, Seat Depth: 17"